Amidst the frenzy of whether or not key summer target Philippe Coutinho would sign for them, Barcelona have completed their first signing since the departure of Neymar, and it is an unexpected one. Former Tottenham player Paulinho has signed for the renowned Spanish team, as the 29-year old has switched from Chinese Super League outfit Guangzhou Evergrande Taobao FC in a deal that will reportedly cost Barcelona £36.5 million. Ironically, the Brazilian midfielder had joined Tottenham Hotspur for a modest £17 million from Corinthians in 2013. Back then, the deal was the club’s record signing. However, the player failed to meet the expectations attributed to him at White Hart Lane despite having found the net 11 times in 67 appearances. He parted ways with the London-based club in 2015, as the Chinese side secured his services for a mere £10 million. Now, the Tottenham reject finds himself to be a part of a club that is still in the process of remaking its team to best deal with the departure of key man Neymar Jr to PSG. Back in July, when the negotiations were allegedly held, Paulinho is believed to have revealed his excitement of potentially playing alongside Lionel Messi and Luis Suarez to Mundo Deportivo. 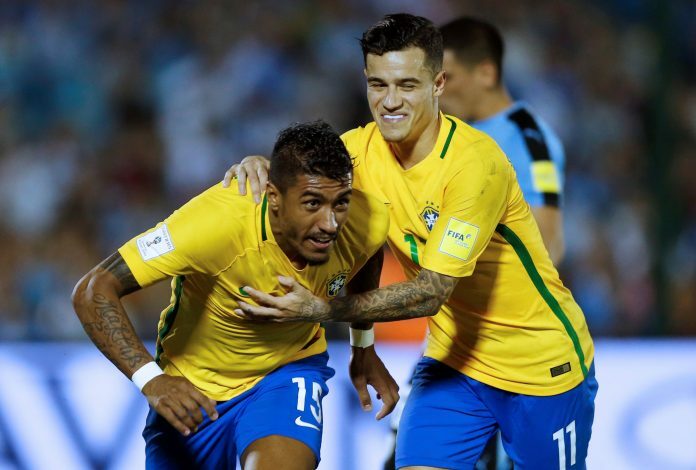 Needless to say, he is not the Brazilian that supporters hoped to see unveiled at Camp Nou, especially amid reports running rampant about Coutinho’s desire to part ways with Liverpool, with the latter having allegedly submitted a transfer request on Friday. The playmaker, who has been impressive for his country, having carved a creative spot for himself in international fixtures, will have much to prove in Spain. It remains to be seen whether the Catalan giants have placed good faith in the midfielder who will be eager to silence his critics, or has Ernesto Valverde committed an expensive blunder.